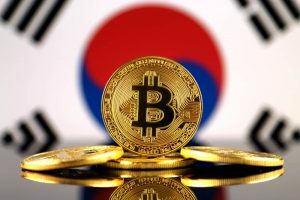 It seems that South Korea is going to relax its tax rules in order to attract new start-ups related to blockchain technology and other innovative solutions. The main intention is to reduce taxes and improve the technological landscape in the country. The important announcement has been made by the government the last Wednesday July the 18th, after a decision taken by eight governmental agencies and its ministers. As CoinDesk Korea reported, organizations that deal with new revolutionizing technologies should benefit from tax exemptions. At the same time, the ministers made a proposal for decreasing the threshold level to select new companies to receive tax deductions. The ministers believe that smaller companies have a problem to start participating in the market. It may be very difficult for them to start and be compliant with tax rules that apply to other bigger companies. At the moment, there is no specific information about the possible amount of tax deduction that companies may be able to have. The proposal made by the government is expected to be implemented in 2019, right after a year full of new regulations and a more mature market all over the world. As Yonhap explains, the new benefit will be applied to all South Korean start-ups that deal with blockchain technology. It is not necessary for thee companies to be from South Korea; indeed, they can be from different countries. This is not the first time that a government is planning tax reduction for companies that work with distributed ledger technology (DLT). We can mention two other important cases in Europe: Spain and Belarus. The Spanish government, back when Mariano Rajoy was the president, proposed tax exemptions to companies working with blockchain and similar technologies. Unfortunately, the project was not able to prosper. Belarus, for example, created a special zone for crypto and blockchain-related companies where it was possible for them to settle and pay less taxes. Individuals working in the industrial park were not going to be taxed as well.